First Indian-origin US senator Kamala Harris has called for allocation of a large federal investment to improve teacher salaries nationwide. The 54-year-old senator who represents California said that currently teachers are making over 10 per cent less than other college educated graduates and that gap is about USD 13,000 a year, the CNN reported on Saturday, March 23. “I’m declaring to you that by the end of my first term, we will have improved teachers’ salaries so that we close the pay gap,” Harris said to a group of supporters in Houston. “Because right now, teachers are making over 10 per cent less than other college educated graduates and that gap is about USD 13,000 a year, and I am pledging to you that through the federal resources that are available, we will close that gap,” she added. Harris, who formally launched her presidential campaign with an impressive rally of more than 20,000 people in her home town of Oakland in California on January 27, is said to be a potential formidable opponent to her eventual GOP incumbent President Donald Trump. Harris said that her proposal would be the largest ever federal investment in teacher pay. Though Harris didn’t provide further details about where the funds will come from, the campaign has said they will unveil the details of the full policy plan next week, the report said. As candidates sweep across key battle-ground states testing their economic messages with potential voters, Harris is the first to announce a plan to allocate funding to teachers — a heavily unionised demographic that is reliably Democratic. Education occupations have unions that represent more than 37 per cent of employees, according to the Bureau of Labor Statistics – far more than any other occupations, the report said. 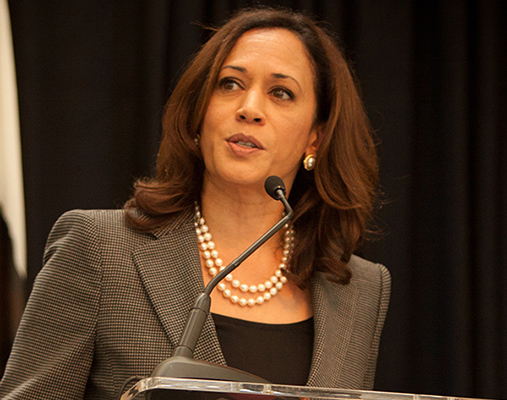 Harris was born in Oakland, California, to a Tamil Indian mother and a Jamaican father in 1964. Her mother, Shyamala Gopalan Harris, was a breast cancer scientist who immigrated to the US from Madras (now Chennai). Her father, Donald Harris, was a professor of economics at Stanford University and emigrated from Jamaica in 1961.